Has one of your staff completed a unit standard or module? Have they had a breakthrough or light bulb moment? Have you got a group who just completed? A small celebration will do wonders for staff morale. Why not organise a small graduation ceremony to recognise your staff? Celebrating achievements as a team or as an organisation is very motivating. This a good way to show your appreciation for their hard work and makes them feel valued. Do also keep a lookout for the Industry Training Graduations organised by the Mayor’s Taskforce for Jobs in your district and encourage your staff to attend if they’re invited. 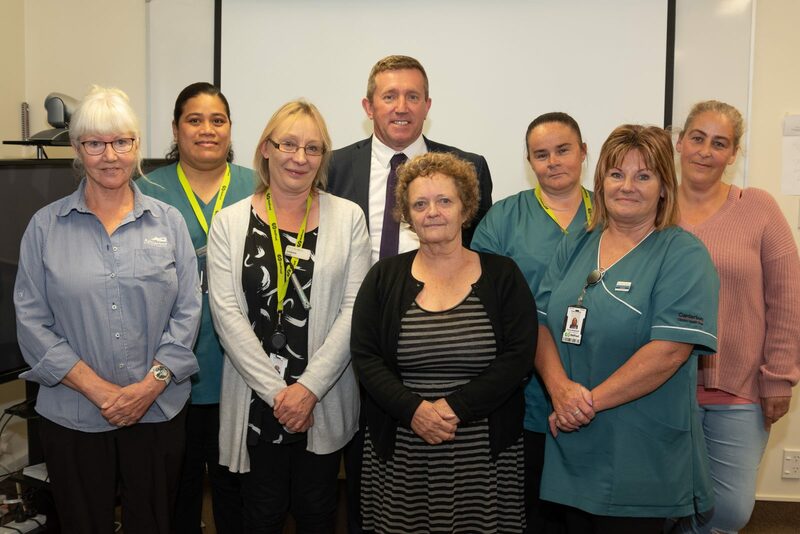 Our Canterbury-based staff were recently invited to the graduation of the first group of Ashburton Hospital orderlies and cleaners who completed their Careerforce qualifications. Crisselda interviewed some of the graduates and managers to find out what the celebration means to them and shares her experience. One of the most rewarding pieces of work we do is seeing the people we support successfully complete their workplace training and achieve their qualifications. I went along to a graduation ceremony recently with our Careerforce Workplace Advisor, Pam Harris, and Careerforce Apprenticeship Advisor, Andy Bunn, to celebrate the success of the first cohort of orderlies and cleaners to complete their Careerforce qualifications. As we wait outside to be let in the room along with the hospital’s staff, you can feel a sense of excitement and camaraderie as staff greet and congratulate each other. We’ve been invited to celebrate with the first batch of orderlies, cleaners and kitchen staff to complete their qualifications. It was a small gathering in one of Ashburton Hospital’s training rooms. But the graduates took the time and were given the time to attend. Being the first batch of trainees from the hospital, not everyone was on board to begin with. Everyone soldiered on though and as they graduate today, you can see nothing but smiling faces. One of the graduates brought their mom to share this moment with. There was one gentleman who was getting married that same afternoon, but he made sure he was there for the graduation! We had the pleasure of attending along with our peers from Service IQ who supported the kitchen staff. Brief introductions and welcomes were done by Craig Stewart, CDHB Orderly Assessor and Trainer. 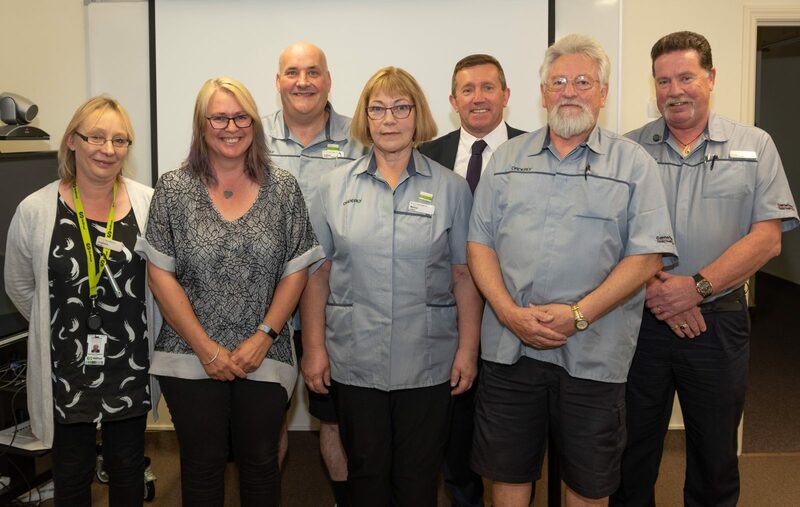 Craig Stewart along with Donna Handy, workplace assessor CDHB, were instrumental in the orderlies and cleaners’ successful completion along with the full support of their department managers. Our very own Apprenticeship Advisor for Canterbury, Andy Bunn, said a few words of thanks and congratulations. Then we moved to the highlight of the event. Everyone was called to come up and receive their certificates. The rest in the room applauded all twenty of them. We’re so happy for them and we’re so proud of their achievements. We spoke to a few people after the event to find out why they think this graduation event and celebrating success are important. Rachel Cadle, Commercial Portfolio Manager, agrees with Radford. She said that this is just the first of many she hopes to attend as they continue upskilling their hospital staff. Everything happened in just one hour. It was a simple event but the impact was huge. Celebrating the achievements, celebrating with their peers and their families, priceless moment. To finish the event, one can never go wrong with sharing some yummy cake. She is originally from the Philippines and along with her husband, considers Christchurch home now.